These are darling patterns. My favourite quilt is a Christmas quilt I made last year out of scraps that I had. I gave it to my daughter, so I need to make another one for me. Cute patterns. Favorites have got to be the Xmas quilts I stitched my four sisters a few years ago. So far my favorite is a sampler quilt I made in holiday fabric - my daughter has it. Sweet giveaway...love that snowman! My favorite quilt was a paper pieced design of Christmas trees using Dr. Seuss fabrics. I actually don't do lots of holiday crafting, but want to start! I love your snowman!! He's so cute. My favorite holiday quilt doesn't exist yet - i have a jelly roll of Snow Days Batiks that I've been dying to use. For 2 years. GASP. Time! Need time! I made a Christmas quilt with all different patterns and it doesn't feel like Christmas until I bring out that quilt. I'm only making my first christmas quilt this year and I want to make the snow man. My favorite holiday quilt was a green, red, and white Lover's Knot that I made for my parents. It was the second quilt I ever made. cute patterns. I have a friend who likes snowmen and i would love to make one for her. Thanks for the chance to win. I made a quilt for the Moda Bake Shop called Field of Tulips, it's my favorite season quilt, perfect for spring! My favoite holiday quilt is the Log Cabin Wreath. It turned out amazingly cute. Thank you for being a part of the Sew Mama Sew giveaway and offering to share your own patterns. You are so kind and generous to all of us. 12 day quilts I made last year were fun. My favourite so far is a halloween quilt I made for my husband. It's my favourite because of how much he loves it. One of the best things I've ever made. Great giveaway! Thanks for the chance to win. Well, I did make a mantel cover, but it was when I first started quilting, so it's not my best work. But I use it every year anyway. Your patterns are very cute! I have never made a Christmas quilt, but always have wanted one. I have seen one that had presents on it that I really liked. I made a Christmas Log Cabin for my Daddy because he always bah-humbugged! Very cute patterns. My favorite holiday quilt is one that my Mother-in-law gave us for our wedding. It was a beautiful antique quilt in red, white, green and gold. I would venture a guess that a Christmas tree skirt counts as a quilt. I have designed 5 of them to give both of my sons and each of my nephews. They may not appreciate them now, but I believe a few years from now, they will be grateful for the gift! My favourite holiday quilt is the one I made in a quilt-along two or three Christmases ago. I used some jolly plaids and snowflake prints and it turned out great! I have never made a holiday quilt but I would love to make one out of 25th and Pine. Maybe this year! thank you - love the patterns! My favorite holiday quilt is one that my mom made me for my son just before he was born. It had Christmas fabrics as he was born December 20th. 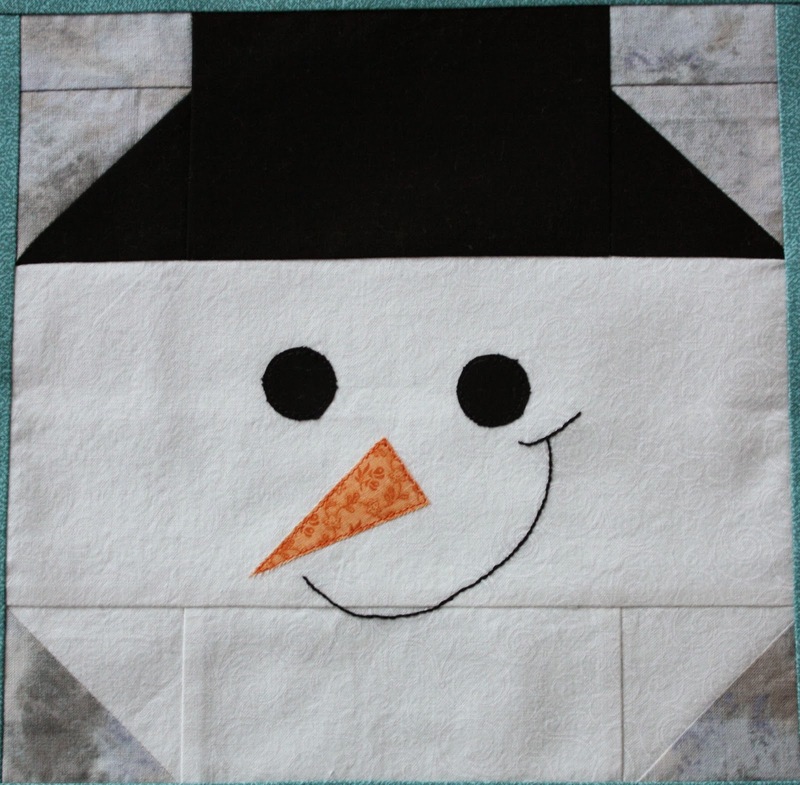 i would like to make a paper pieced xmas quilt, so your snowman would be perfect! My grandma made us a king size Christmas quilt as a wedding present and I love it! I remember using quilts my great-grandmas made, and wanted my kids to remember the same thing.